German ZEW Economic Sentiment improved to 3.1 in April, up from -3.6 and beat expectation of 0.5. Current Situation index, however, dropped to 5.5, down from 11.1 and missed expectation of 8.5. Eurozone ZEW Economic Sentiment Rose to 4.5, up from -2.5. Eurozone Current Situation index dropped -6.6 pts to 13.2. 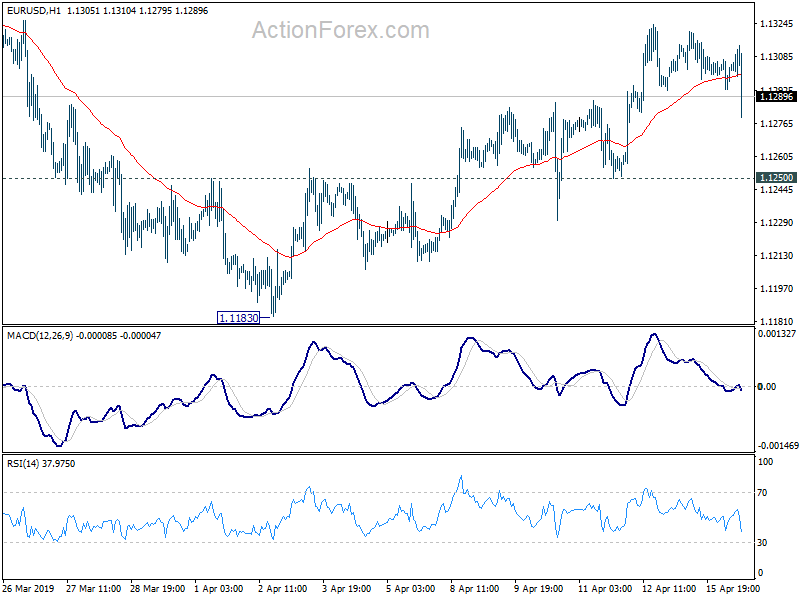 EUR/USD weakens after the release.